Wiri Wiri Pepper: Ch-Ch Cherry Bomb! You are here: Home / Heat / Wiri Wiri Pepper: Ch-Ch Cherry Bomb! Sometimes it’s the littlest things that hold the biggest surprises. For instance, the Guyanese wiri wiri pepper may look little – like colorful cherries – but inside it contains sun-like heat rivaling habanero peppers and Scotch bonnets. The flavor, too, is deliciously distinct – fruity with sharp tomato undertones. No wonder the Guyanese treasure this chili as a staple in their everyday cuisine, using it in everything from hot sauces to peppered rum to flavor dishes. 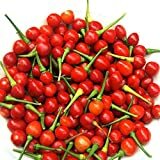 How hot are wiri wiri peppers? Describing them as little cherry bombs is not far off from reality. Wiri wiri peppers range from 100,000 to 350,000 Scoville heat units on the pepper scale. 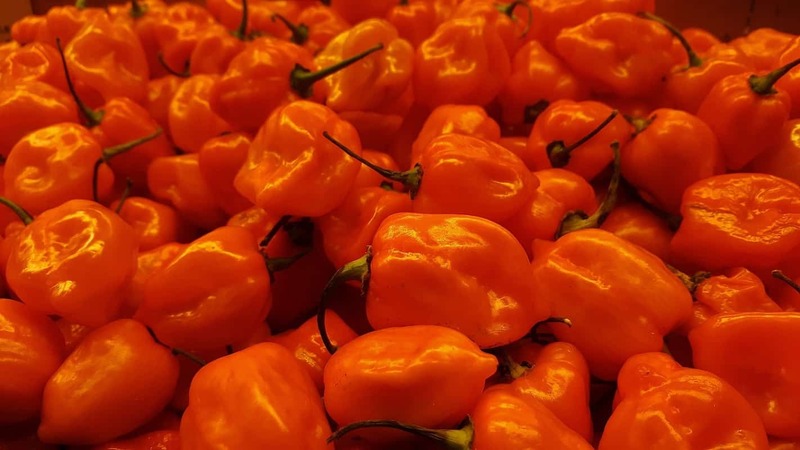 That’s the same range as habanero peppers and Scotch bonnet chilies, though wiri wiri peppers tend towards the lower end of the scale a little more often. That makes wiri wiri chilies 12 to 140 times hotter than our jalapeño reference point. It’s a fast heat that hits the tongue – you know you have something extra spicy real-quick with this chili pepper. So wiri wiri are a staple of Guyanese cuisine? They are much more than that. These chilies are part of their everyday culture. Wiri wiri are used in a delicious extra spicy table sauce (along with mango) common on dining tables across Guyana . It’s also used to create pepper rum that’s used to finish stews, soups, and other dishes. Wiri wiri are commonly cooked in sides and even eaten fresh. Really the Guyanese lean on their local spicy treasure for many culinary treats! Wiri wiri? Are they related to piri-piri peppers? The names may sound alike, but that’s about all they have in common beyond being chilies. Piri-piri (a.k.a. malagueta peppers) are a staple of Brazilian cuisine, as well as other Portuguese-speaking countries. They have an elongated shape and fall well below the wiri wiri in hotness (60,000 to 100,000 SHU). What do wiri wiri peppers look like? 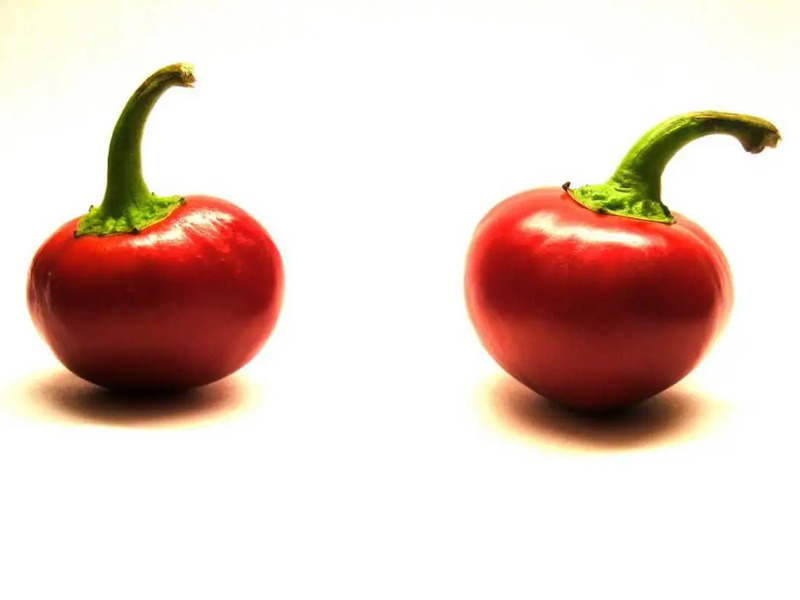 They look like cherries – one of the reasons why wiri wiri are also known as hot cherry peppers. Wiri wiri measure a half inch across, standing upright on the plant. They have a beautiful ornamental quality, like festive bulbs, aging from green to yellow, then orange, and finally a vibrant red in their mature (and hottest) form. What’s the wiri wiri flavor? How would you describe it? There’s a fruity flavor to wiri wiri – just like habaneros or Scotch bonnets. But that’s only part of the flavor story here. These chilies have a tomato-like tang to them, too, that adds a unique twist to their taste (say that five times fast). Overall, the flavor is quite unique, and one of the main reasons this chili is loved by an entire country. Wiri wiri are very versatile chilies. They are favorites in hot sauces, stews, soups, and marinades, working particularly well with tomatoes and tropical fruits. They also work with savory dishes, like Indian curries, providing a tasty fruity heat. And as a foil to salty foods, they are top notch. Asian-inspired dishes, like Guyanese-style chow mein, pair wiri wiri with soy sauce to delicious results. 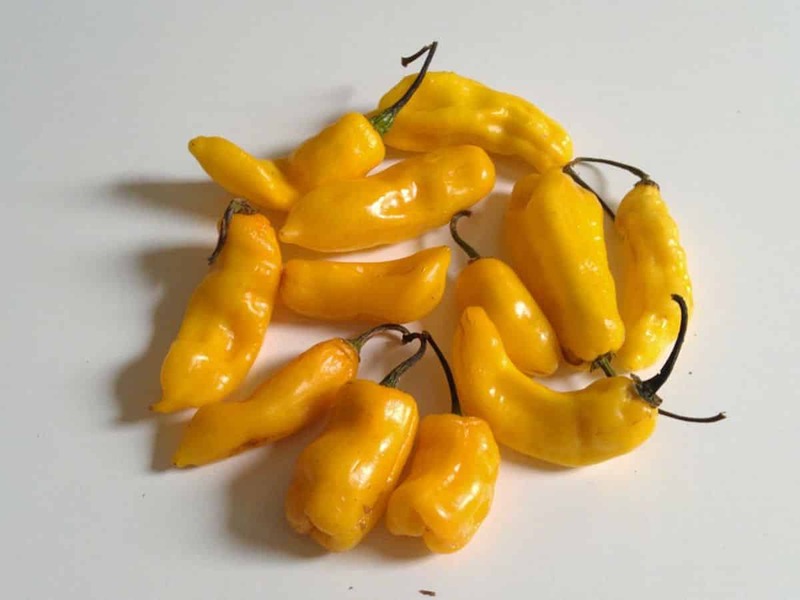 Where can you buy wiri wiri peppers? They aren’t easy to find outside of Guyana and surrounding South American and Caribbean regions. Some farms and local growers may plant wiri wiri, but they can be notoriously hard to grow, especially for those unfamiliar with the plant. You can purchase both wiri wiri seeds and – best of all – dried wiri wiri from online vendors. The dried version of the chili can easily be rehydrated to provide this chili’s unique flavor to soups, stews, and hot sauces. Enjoy wiri wiri peppers whenever you find them, but remember: these tiny chilies pack quite the punch. Use caution when eating or preparing, and you’ll be rewarded with one of the most delicious spicy flavors around.